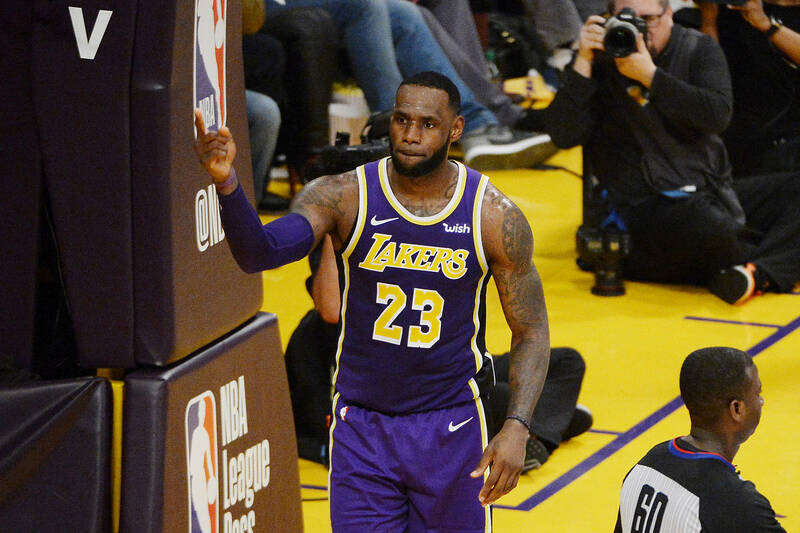 Home>Sports> Lebron James Promises Lakers Fans That The "Spell Won't Last Much Longer"
This season, the Los Angeles Lakers once again found themselves left out of this year's playoffs despite the expected entry that they were slated to nab with Lebron James heading up the squad. Such hopes were dashed when a groin injury forced James to miss 17 straight games in the regular season, with the Lakers going 6-11 in that spree. Ultimately, the team fell out of the playoff race with an 111-106 loss to the Brooklyn Nets, marking the first time since 2005 that James will not be heading to the playoffs. '05 marked James's sophomore season with the Cavs. "Obviously, it's been a tough season for all of us," James told CBS Sports. "It's not what we signed up for. Throughout the year, things happened. Suspensions, injuries, things of that nature. And just not being able to play sustainable basketball for 48 minutes. But you don't even try to wrap your head around it, you just keep pushing." With the Lakers facing their sixth straight year without a playoff appearance, it's easy for those who call themselves fans to get discouraged. Nonetheless, Lebron James took to social media assure them that the drought wouldn't last for long: "Believe me! Promise #LakerNation the spell won't last much longer," he penned on Instagram. "I swear. The marathon continues." SPORTS Lebron James Promises Lakers Fans That The "Spell Won't Last Much Longer"